A very poisonous gas, especially used as a chemical weapon C4H8Cl2S. E.g-1. The Gulf of Mexico is Full of Unexploded Bombs and Mustard Gas. 2. 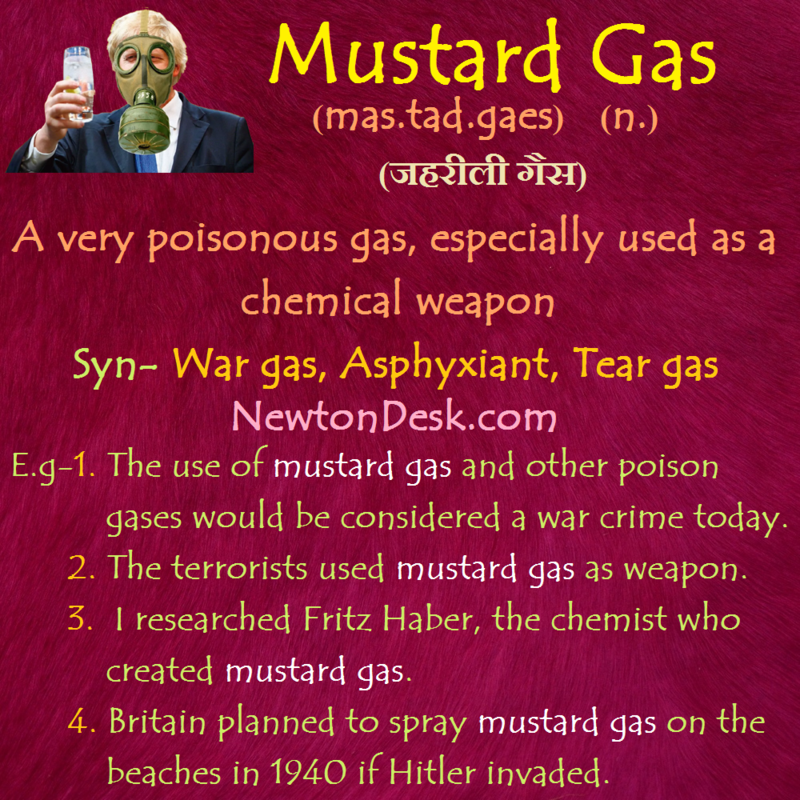 The use of mustard gase and other poison gases would be considered a war crime today. 3. Fascist Italy used mustard gase in Ethiopia and Libya. 4. Britain planned to spray mustard gase on the beaches in 1940 if Hitler invaded. 5. 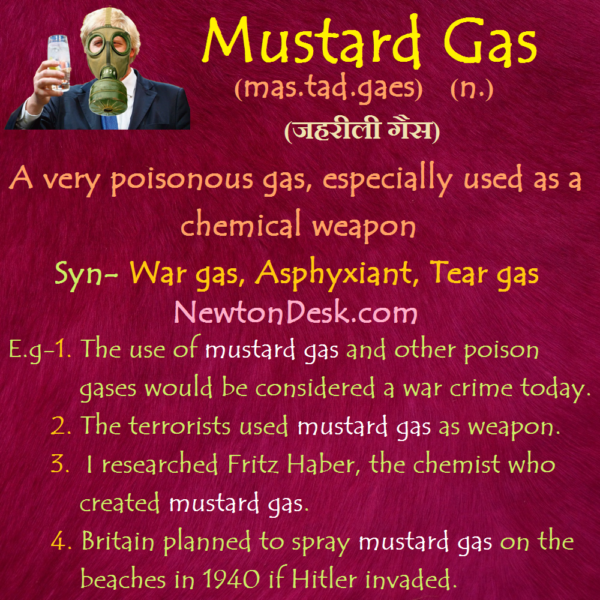 The terrorists used mustard gase as weapon. 6. I researched Fritz Haber, the chemist who created mustard gase.